It is very beautiful around there - top silent, surrounded by meadow and green lawn. 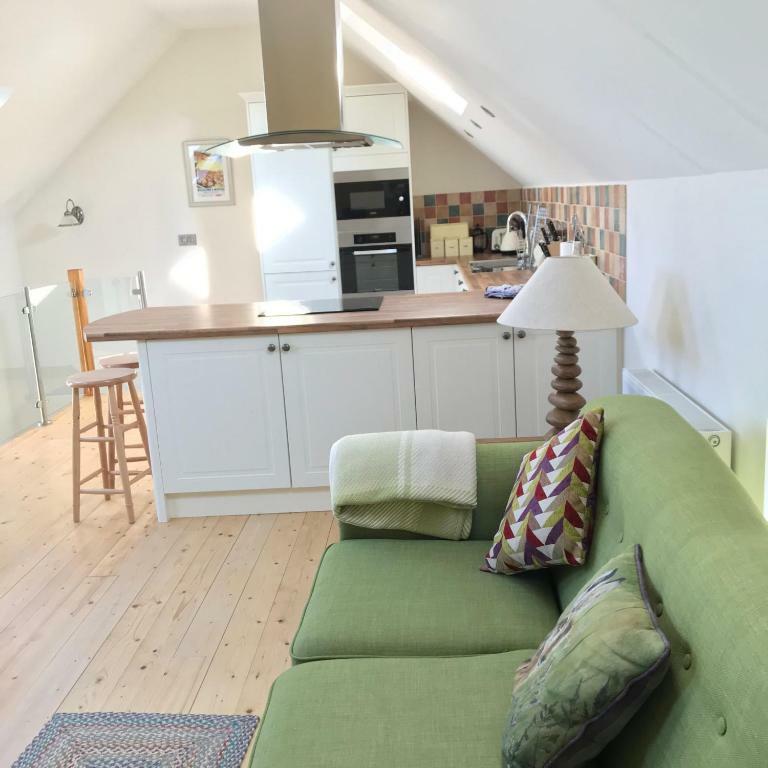 Gorgeous cottage (Exmoor View), had everything you could possibly need - a home from home. 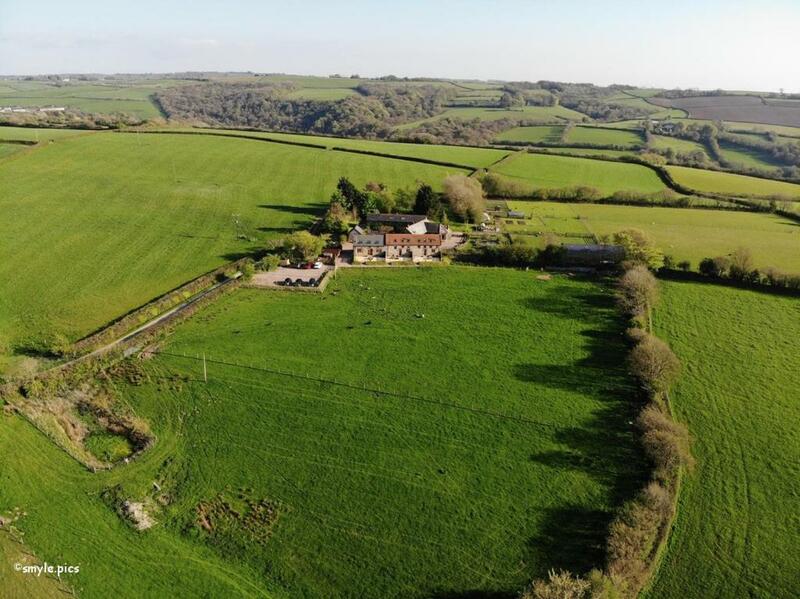 Set in the beautiful Devon countryside, perfect for driving to the north Devon cost, but far enough away from all the tourist madness!! We travelled with our sons (age 5 & 2) who LOVED feeding all the animals and collecting eggs in the morning, we also got to see baby lambs who had just been born!! A proper Easter treat. Adele and Richard are brilliant hosts. We’ve already booked to return in August!! Amazing cottage. Clean, comfortable and modern. Everything has been thought of. The welcome hamper was sensational. We all loved it here!!! Everything. Stunning views, beautiful accommodation and a brilliant welcome basket on arrival. Beautiful barn conversation with no expense spared on the fixtures and fittings. Spotlessly clean, comfortable beds with excellent bedding and fluffy towels. The owners personal touches elevate this property to one of the best we have visited. The welcome pack was exceptional with quality local produce and luxury extras and little pots of sweets in each bedroom and every item you’ve ever wished you had packed but didn’t to make this an exceptional self catering holiday. This is our second visit so we knew what to expect - which was exceptional accommodation and facilities. Cannot fault a thing - would happily move in permanently! Thank you Adele! Clean, comfortable and well designed with a fab welcome hamper. Everything...high quality cottages with a very well thought out finish. The hamper and items in the fridge on arrival, really lovely. I have stay in many places and this place is one of my favourites and I will be going again. Thanks to the hosts for such a wonderful stay. 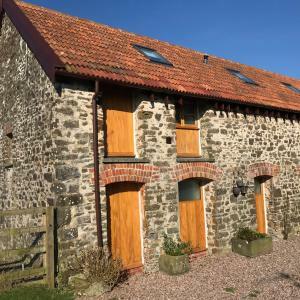 Lock in a great price for East Trayne Holiday Cottages – rated 9.8 by recent guests! One of our best sellers in South Molton! 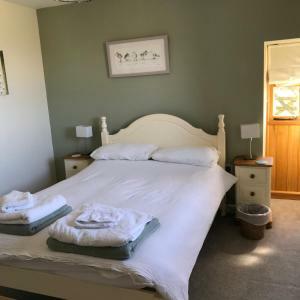 Located in South Molton, East Trayne Holiday Cottages provides accommodations with free WiFi and a garden with a grill. 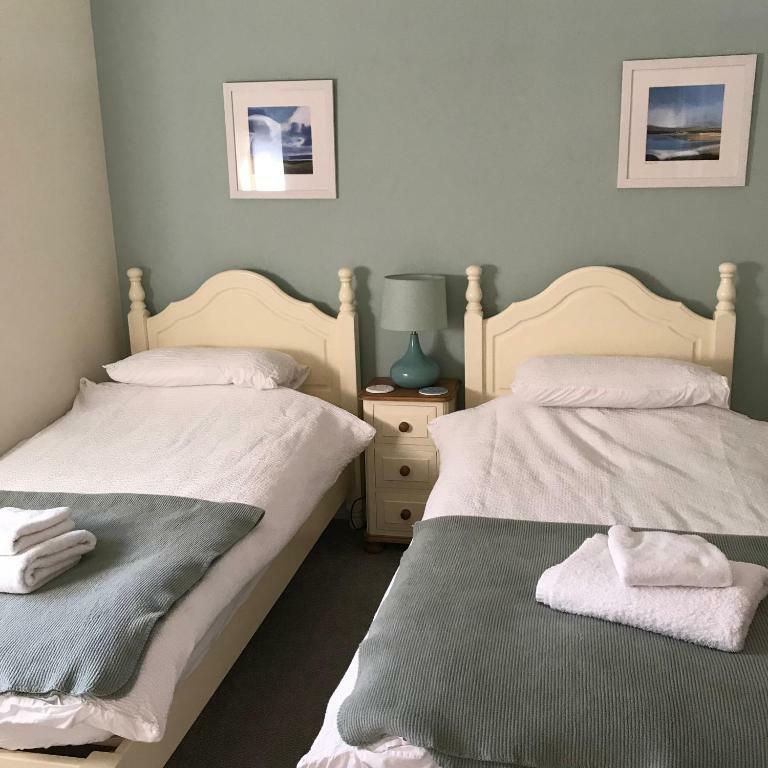 Featuring views of the garden, all units in the property come with a flat-screen TV, Blu-ray player, and DVD player, as well as a washing machine and a private bathroom with a bath. A dishwasher and oven are also offered, as well as an electric tea pot. Barnstaple is 14 miles from the vacation home, while Ilfracombe is 26 miles away. The nearest airport is Exeter International Airport, 43 miles from East Trayne Holiday Cottages. 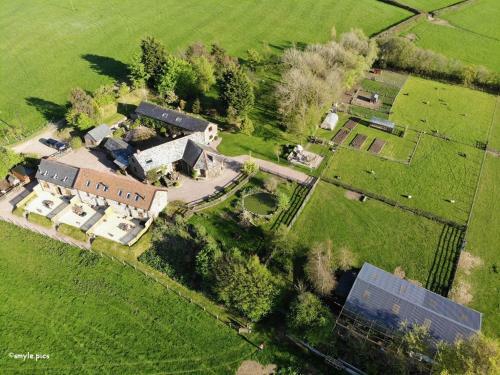 This property also has one of the top-rated locations in South Molton! Guests are happier about it compared to other properties in the area. This property is also rated for the best value in South Molton! Guests are getting more for their money when compared to other properties in this city. 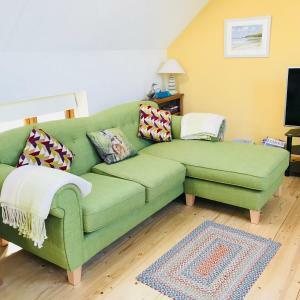 When would you like to stay at East Trayne Holiday Cottages? This holiday home has a oven, microwave and patio. 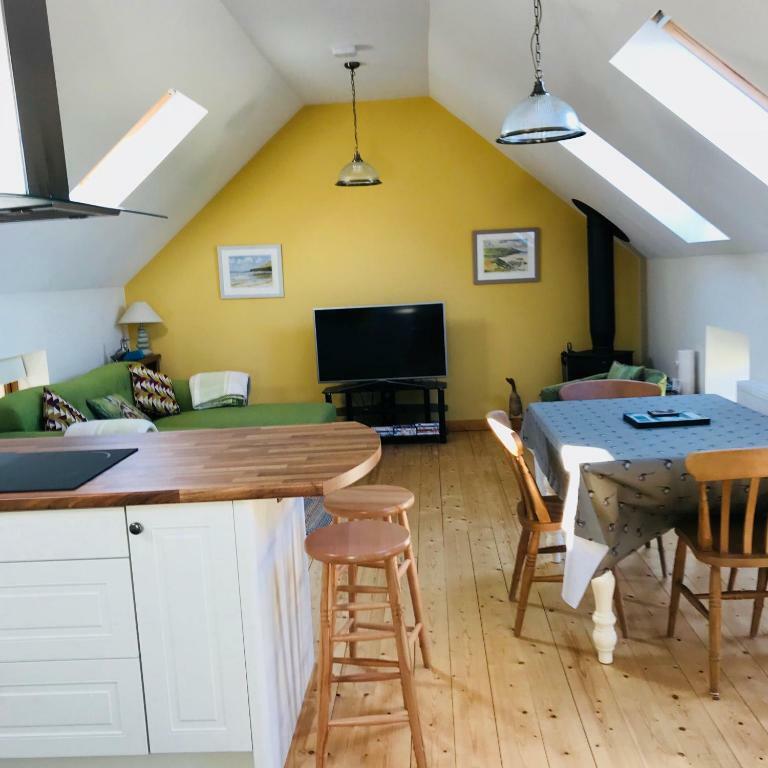 This holiday home features a electric kettle, flat-screen TV and washing machine. 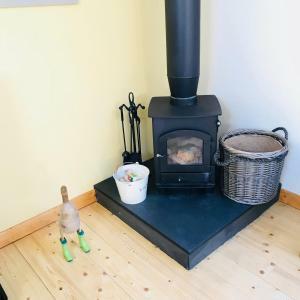 This holiday home has a oven, washing machine and fireplace. 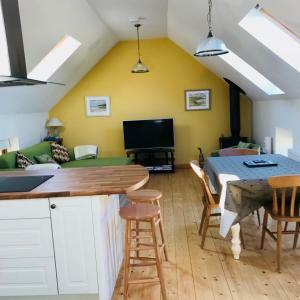 House Rules East Trayne Holiday Cottages takes special requests – add in the next step! 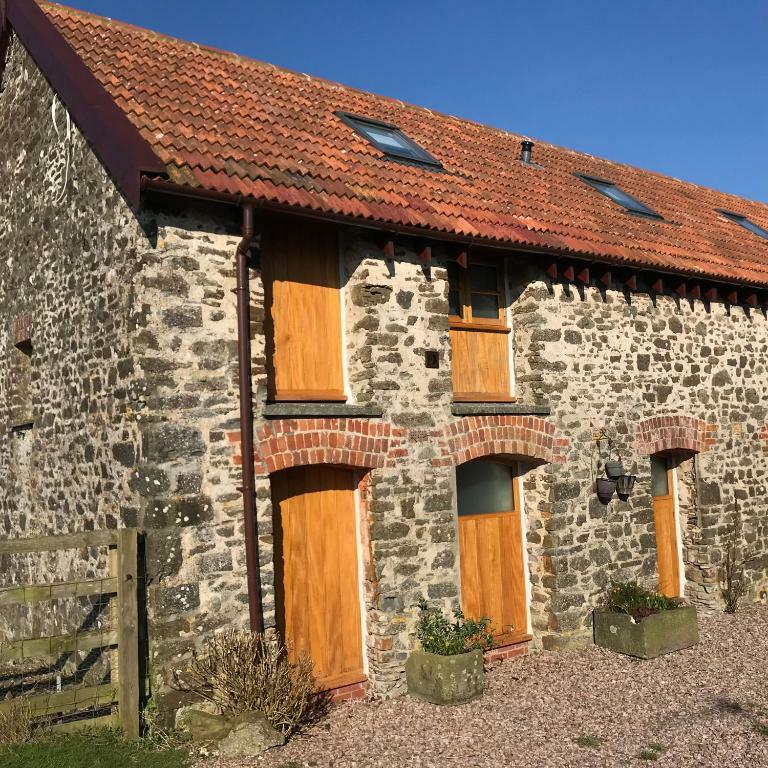 East Trayne Holiday Cottages accepts these cards and reserves the right to temporarily hold an amount prior to arrival. A damage deposit of GBP 125 is required upon arrival – that's about 162.62USD. This deposit is fully refundable at check-out as long as there's been no damage to the property. Please inform East Trayne Holiday Cottages of your expected arrival time in advance. You can use the Special Requests box when booking, or contact the property directly using the contact details in your confirmation. We could not walk around, which was one of my most expected leisure activities, on the one hand because of the narrow single street we could not let the dog run free and on the other hand we were not allowed to walk around the meadow. No window in bedroom which made it very stuffy. Tried opening stable door but a bird came in! A simple hook would help. Removed quilt from cover as room was too hot but cover was then too small for bed and only reached the sides and was too short. Think because of the waffle design when quilt was not in the cover it then shrunk. Had to use one if the single quilts too. Our 3 night stay was perfect. Given the heatwave gripping the UK the upside down cottages (bedrooms on the ground floor and living area upstairs) was a welcome relief. The well appointed 2 bed cottage we stayed in hit just the spot as we had both planned guests (which was no problem with Adele) and impromptu guests drop in... and stay. We even caught out the farmer doing his morning rounds collecting eggs and letting the geese and chickens out. A blast for our 2 and 4 year old guests. Always thinking with my stomach, the welcome hamper is worth the journey alone! The Welcome hamper was s bonus and a nic touch. Lovely location and well presented accommodation. The kitchen and lounge area, beautiful views from the patio.